Nothing is a greater challenge or greater joy than being a parent. 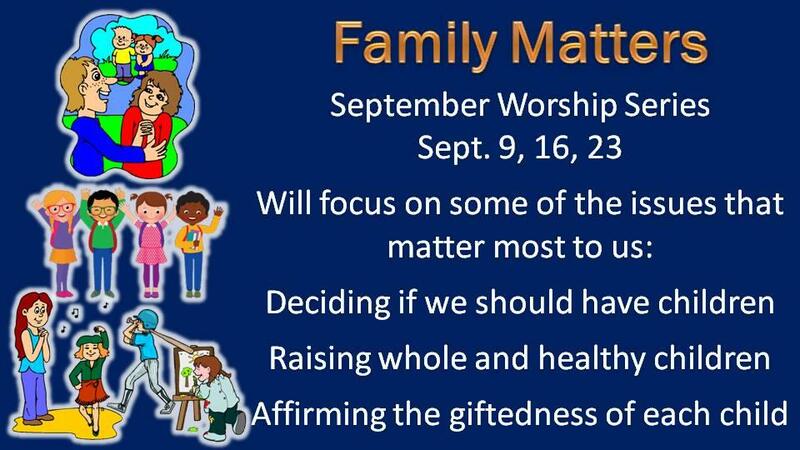 Our services on September 9, 16, and 23 will focus on some of the issues that matter most to us: deciding if we should have children, raising whole and healthy children, and affirming the giftedness of each child. 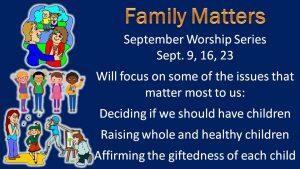 These are important if we are going to be the kind of parents God longs for us to be.